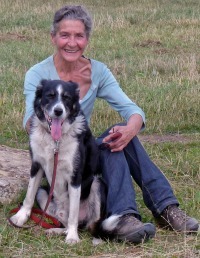 Helen Peacocke – Award winning beer and pub writer who has published two books “Paws Under the Table” and “Paws for History” visited the Inn and wrote a lovely piece about us in her blog….. The Inn at Fossebridge, as its name suggests, nestles besides a bridge in a dip on the A429 (Fosse Way) that passes through the Coln Valley, just three miles out of Northleach, four miles from Bibury or 6 miles north of Cirencester. Its close proximity to Chedworth means it is also but three miles away from one of the most spectator Roman Villas in the country. It’s no wonder that the Romans chose to settle in this area – even during the winter months the Coln Valley displays a breathtaking and haunting beauty, which remains gloriously unspoiled. The Inn dates back to the Georgian period and stands in 4 acres of a mature garden in which a small lake sits in the centre. The river Coln acts as one of the garden’s boundaries. Describing The Inn at Fossebridge without resorting to superlatives is impossible. This remarkable inn is not only one of the most friendly establishments I have ever visited, it is professionally run too. It is indeed a true country retreat, offering guests a chance to step back in time, enjoy old fashioned hospitality, and fine food. Auntie Liz and I were much amused to note that there is an old sign above the main bar DATING BACK TO 1945 advertising DAVID CAMERON BREWERS! I wonder if our esteemed leader knows that there was a brewery of this name? It goes without saying that Pythius (my Border Collie) was made really welcome, and that a large bowl of cold water is placed by the side of the bar for visiting canines. He was allowed to roam the inn’s lovely grounds too. If I was award wining stars, this inn would get five out of five.